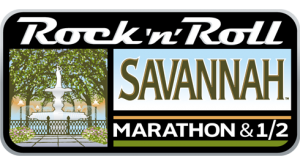 The forth-annual Savannah Rock and Roll Marathon & 1/2 Marathon will take place on Saturday, November 3, 2018. Open to runners and walkers from novice to professional, live bands entertain participants along each mile of the scenic course that winds through Savannah’s historic neighborhoods. Adding to the excitement, hundreds of local high school cheerleaders will be competing in the “Spirit on Course” competition by motivating athletes all the way to the finish line. Race weekend festivities begin Thursday with a two-day Health & Fitness Expo at the Savannah International Trade & Convention Center. The Health & Fitness Expo is open to the public and will feature over 80 exhibitors with the latest in endurance sports gear and nutrition products. The event weekend concludes with a post race finish line concert. This event draws more than 25,000 runners and does sell out every year. 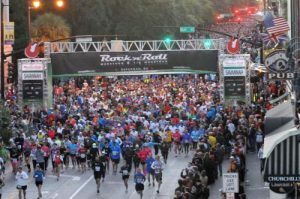 The Foley House Inn Bed and Breakfast is 2 blocks from the start line of the Savannah Rock and Roll Marathon and 3 blocks from Forsyth Park where the race concludes. We provide an early morning race buffet on the morning of the event for all of our runners. We also provide our normal breakfast service for those who prefer to sleep late and watch the race on television. 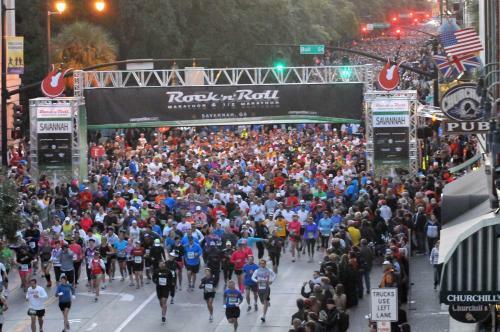 In 2011, the Savannah Rock and Roll Marathon & 1/2 Marathon debuted as the largest inaugural half marathon in the U.S., selling out with more than 23,000 entrants. 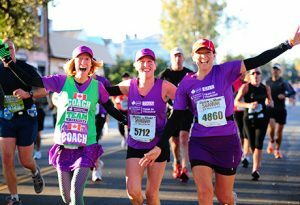 Music every mile, cheerleaders and a post-race concert create a party-like atmosphere, entertaining runners all the way to the finish line. This Savannah Rock and Roll Marathon Bed and Breakfast is just three blocks from Forsyth park where the race concludes. It’s an easy walk after a long race and an afternoon enjoying the live music at the park. Come home and put up your feet and enjoy a cold iced tea!